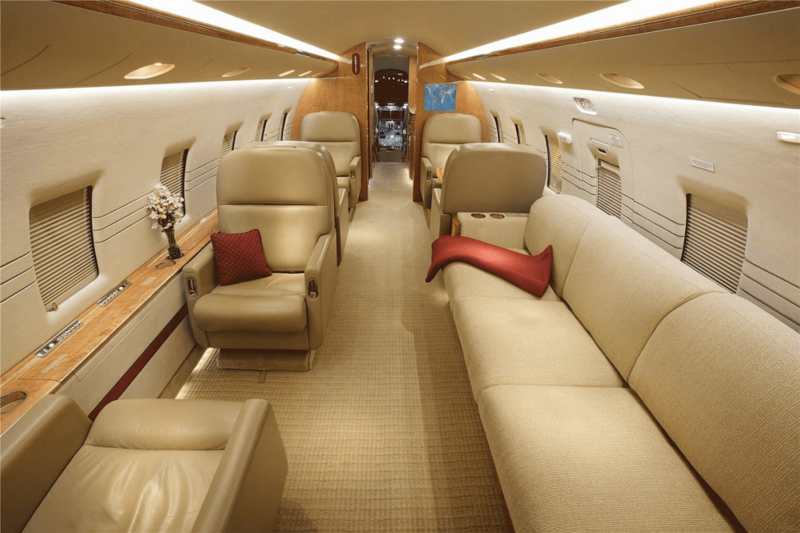 As a long range business heavy jet, Bombardier’s Challenger 604 meets any business traveler’s need of speed and maximum efficiency.With a large cabin and luxurious amenities, this business jet will ensure you make the most of your time in the air. At 8.2 feet wide, the Challenger 604 has one of the widest cabins for a long range business jet, ensuring extra space and comfort. Seating 9 to 12 passengers, the cabin has two living spaces meant for work, rest, or entertainment. Conference grouping of four seats allows passengers to focus primarily on business in one of the quietest cabins in the industry. The rear living area can be used to work or rest as a half club section sits opposite a divan meant for extra seating or lounging. Two display monitors and a DVD system, a full lavatory and deluxe galley are found on either end of the jet as well. Although the Challenger 604 is an older model aircraft, it has received numerous upgrades over the years to enhance its performance. 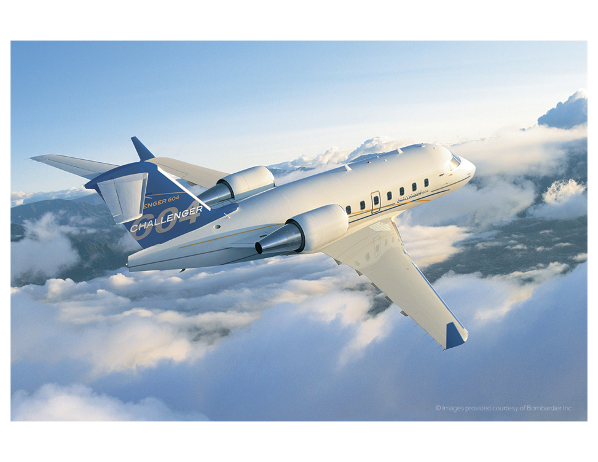 Two GE engines power the aircraft, delivering 8,729 pounds of thrust each. At a range of 4,027 nm and high speed cruise of 0.82 Mach, this jet can easily accomplish long legs. Its baggage compartment contains 115 cubic feet and can seamlessly hold 8-10 golf bags, 12 suitcases, and 8-10 pairs of skis. 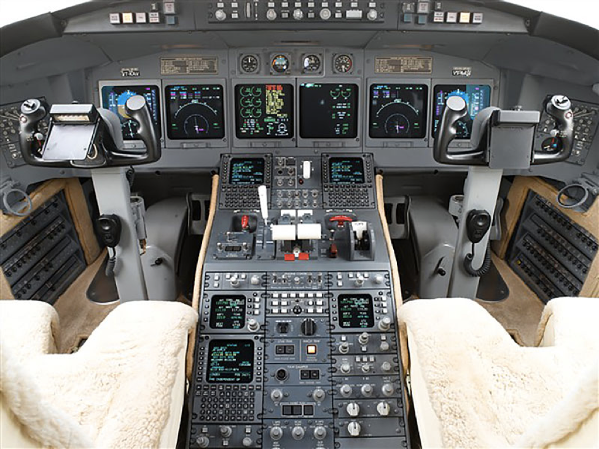 A Collins Pro Line 4 avionics system give pilots information and data across six screens. Turbulence detection radar, autopilot systems, and high frequency radios are just some of the features that pilots can easily maneuver. With a commendable track record, Bombardier’s Challenger 604 is a go to when it comes to reliability, intercontinental range, and comfort. Its wide body and warm interior make for a relaxing journey no matter what your destination.